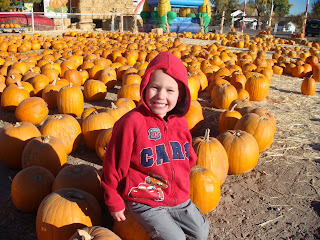 Here are some pictures from this years pumpkin patch. 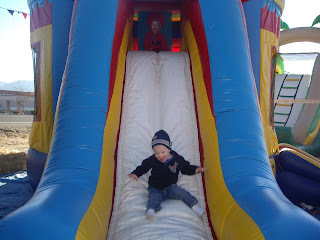 If you look closely at this picture you will see Landon at the top of the bounce house slide cheering on his brother! 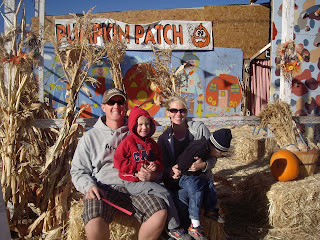 Here is another one of our famous family photos which always ends up with somebody trying to hide from the camera. I love your blog!!! SO CUTE!! Your boys are getting so big! This will be a fun way to keep in touch.